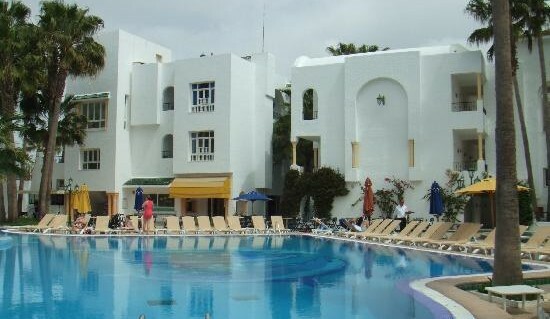 We have helped a holidaymaker claim £1,750 in compensation after their holiday to Tunisia was ruined by illness at the Hotel Nesrine. Amanda Crawford, 25, from Scotland, was on holiday at the resort in Hammamet to celebrate her graduation, but she said food was often cold or lukewarm, sometimes reheated and that there were problems with flies. She said: âOn Monday morning I went to get breakfast, flies were everywhere, at all stages of browsing inside the dining room and awaiting fresh cooked omelettes and pancakes outside. âI had more than ten flies on my legs. It was quite off putting to say the least, particularly when they were surrounding tables and food on the buffet inside also. âI got breakfast on my own and left it on a table to get juice, when I came back there were two flies on my egg. I quickly wrapped the pancake in a napkin and went to my room. âOn Wednesday night my partner at the time and I drank at the hotel until 11pm and were speaking to other tourists who were having terrible diarrhoea. Some were on their second week on holiday and had been ill for more than a week. Someone else that we met thereÂ had also beenÂ very ill with sickness and diarrhoea on WednesdayÂ and Thursday. âWe went back to the room and from nowhere I had severe diarrhoea. On Thursday I experienced severe cramps and sweats and dizzinessâ. After speaking to other guests at the resort it became clear to Miss Crawford that there was a widespread problem with illness before she arrived. She said: âFrom speaking to people, I could build a pattern . I then becameÂ more concerned about infection control, hygiene and cleanliness at the hotel and among staff. âI noticed that drinks during the day were given out in reusable plastic cups, this may be a cause of spreading infection and obviously flies are a concern. Also, unsure if salad was washed with local water, but this should be addressed if this is the caseâ. Miss Crawford, a journalist, stuck to eating bread and rice until her symptoms subsided and she felt little better before flying home, although she was still suffering from diarrhoea. When she got home she found that her illness flared back up and she was again left violently shaking, nearly sick and had severe diarrhoea. Miss Crawford had to take yet another week off work to recover. As a result of her illness she noticed a change to her everyday health for some time. Although tests at her GP showed no signs of infection in the days following her return from Tunisia, her former partner was diagnosed with Salmonella D.
Miss Crawford said: âI am sure that I had the same illness as my partner but I hadnt taken tablets to suppress my symptoms on holiday as he had. I think that I did the right thing in letting it come out of my systemâ. Your Holiday Claims were able to help Miss Crawford recover £1,750 in compensation after claiming against the tour operator for her ruined holiday. Head of Travel Law at Your Holiday Claims, Anne Thomson, said: âI am very pleased that we were able to help Amanda claim the compensation she deserved. Falling ill on holiday can be extremely distressing, especially when your symptoms continue after returning home and you have to miss work.